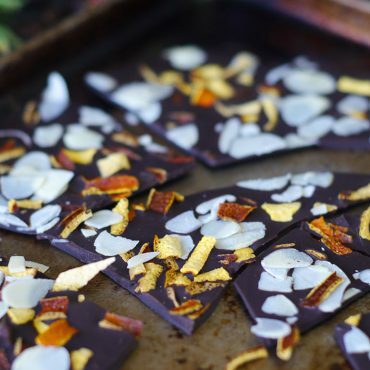 Sometime last year I was talking to my blogging pal Brandi from The Vegan 8 on instagram about my love of basil in everything and our shared love of salted chocolate, and she suggested basil and chocolate as a combo to try. I thought it was intriguing. 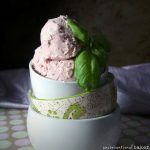 I was already a big fan of chocolate and sage, and basil with all kinds of fruit (especially in ice cream), but chocolate and basil was a new one for me. She mentioned she made some brownies with that combo once… Very interesting it all sounded! P.S. 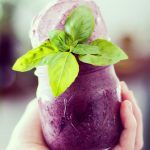 If you like basil in sweets, you might like this blueberry basil nice cream or this balsamic strawberry basil ice cream oldie as well…? 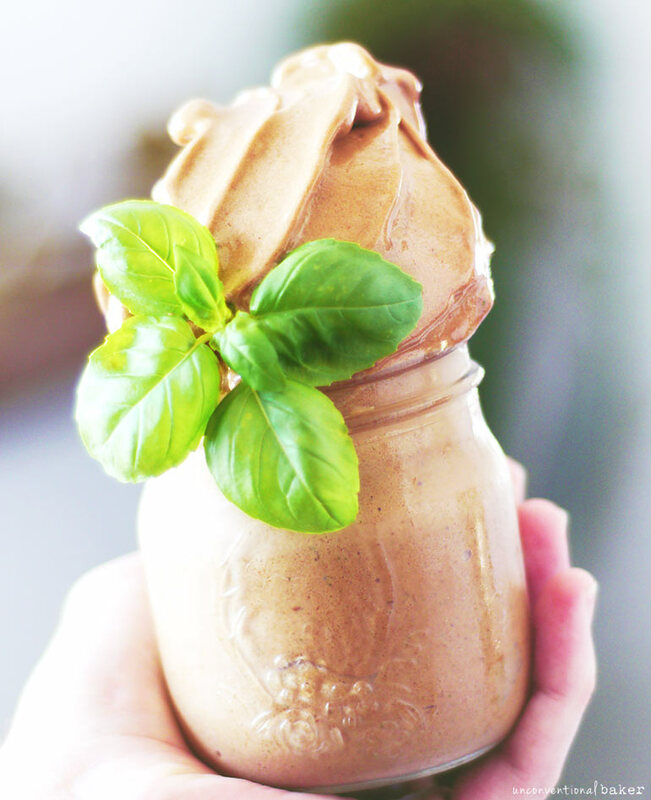 A simple chocolate vegan nice cream with an unusual flavor twist — basil! Have fun experimenting with a new flavor combo that’s refreshing, and instant! 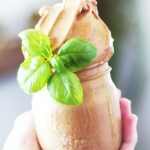 Blend all ingredients in a high speed blender into an ice cream consistency (use your tamper if using a Vitamix to help you along). Enjoy straight away! Do you have any recommendations on keeping leftovers? Does the extra need thaw time for serving? Thanks! Hi Rob, sorry I missed your question. You can freeze leftovers, and then thaw them out on the counter for 10 mins or so. 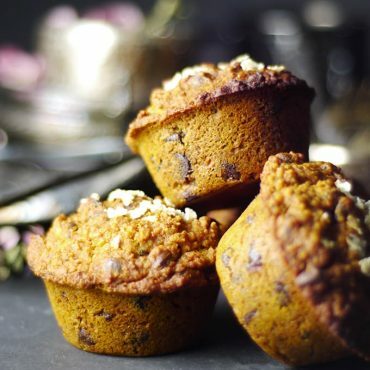 But this kind of a recipe is usually best made fresh — that’s how you get the best texture / consistency. Hmmm chocolate and basil… that’s a new one for me too but it sounds very interesting! And I’m down for anything nice cream-related ;) Hope you have a great weekend, girl! Thanks so much, Sarah! Have a beautiful weekend as well.